5 Bed | 7+ Bath | 8,670 Sq Ft.
4 Bed | 4+ Bath | 4,865 Sq Ft.
4 Bed | 4+ Bath | 5,963 Sq Ft.
6 Bed | 6 Bath | 7,158 Sq Ft.
3 Bed | 3+ Bath | 4,164 Sq Ft.
4 Bed | 4+ Bath | 4,126 Sq Ft.
6 Bed | 5+ Bath | 6,001 Sq Ft.
4 Bed | 7 Bath | 6,486 Sq Ft.
4 Bed | 6 Bath | 5,155 Sq Ft.
4 Bed | 2 Bath | 3,700 Sq Ft.
5 Bed | 3 Bath | 2,880 Sq Ft.
4 Bed | 3+ Bath | 4,851 Sq Ft.
3 Bed | 3+ Bath | 3,416 Sq Ft.
3 Bed | 3 Bath | 3,055 Sq Ft.
4 Bed | 7 Bath | 10,519 Sq Ft.
5 Bed | 7 Bath | 8,908 Sq Ft.
5 Bed | 5+ Bath | 7,666 Sq Ft.
5 Bed | 5 Bath | 6,000 Sq Ft.
4 Bed | 4+ Bath | 5,258 Sq Ft.
3 Bed | 3+ Bath | 4,714 Sq Ft.
3 Bed | 4 Bath | 4,286 Sq Ft.
5 Bed | 7 Bath | 6,778 Sq Ft.
6 Bed | 5 Bath | 7,600 Sq Ft.
5 Bed | 4+ Bath | 4,923 Sq Ft.
5 Bed | 4+ Bath | 5,838 Sq Ft.
6 Bed | 3+ Bath | 4,492 Sq Ft.
2 Bed | 2+ Bath | 3,017 Sq Ft.
4 Bed | 4 Bath | 3,039 Sq Ft.
4 Bed | 3+ Bath | 4,571 Sq Ft.
3 Bed | 2 Bath | 2,363 Sq Ft.
4 Bed | 3+ Bath | 4,350 Sq Ft.
2 Bed | 3 Bath | 2,450 Sq Ft.
3 Bed | 3+ Bath | 3,436 Sq Ft.
5 Bed | 4 Bath | 3,262 Sq Ft.
4 Bed | 3+ Bath | 4,018 Sq Ft.
4 Bed | 3 Bath | 3,250 Sq Ft.
3 Bed | 3 Bath | 1,778 Sq Ft.
6 Bed | 5 Bath | 4,045 Sq Ft.
4 Bed | 3+ Bath | 3,323 Sq Ft.
As principal of WENDY WALKER FINE PROPERTIES, Wendy has established herself as one the top producers in the luxury real estate market and holds a lucrative position with Coldwell Banker Global Luxury as one of four ambassadors to the brand who instruct and teach the world-renowned program to outposts around the world. She is a powerful negotiator bringing innovative ideas and strategies to each transaction. Wendy’s market knowledge combined with her passion and indefatigable work ethic continues to exceed client’s expectations, proving that personal integrity does bring success. Ranked in the top 1% of Coldwell Banker agents nationally and internationally, Wendy is a Certified Real Estate Commissioner and has been honored with numerous awards and recognitions, including: #1 Team for Coldwell Banker Arizona 3 Years Running: 2017, 2016 & 2015, Coldwell Banker Hall of Fame Team 2017, #1 Individual Producer Company-Wide for Coldwell Banker in Arizona 2013, Coldwell Banker International President’s Elite & President’s Circle Awards (Multiple Years), Award of Distinction – Most Referred Real Estate Agent, NRT National Leadership Award 2013, Arizona Hall of Fame Award 2013 & 2014, Top Agent Magazine’s “Featured Cover Agent” for Phoenix, Residential Executive Magazine’s “Featured Cover Agent,” Coldwell Banker Customer Service Award & President’s Council, AZ Magazine’s Who’s Who in Business Top Ten Agent, and Arizona Foothills Magazine’s Best Realtor in Phoenix 2011, 2012 & 2013. Wendy is as sensitive to her client’s needs as she is to the subtleties and complexities of today’s transactions, consistently closing 98% of her listings year after year. 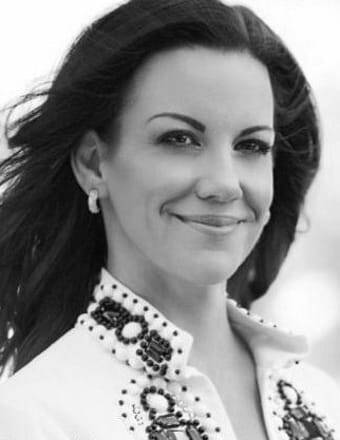 Specializing in the Luxury Markets of Paradise Valley, Scottsdale, Biltmore, Arcadia and Phoenix, her expertise is proven and her client service unmatched. As a result, 93% of Wendy Walker Fine Properties’ business is referral-based. Aside from working hard, Wendy somehow manages to spend time with her three young children, and also give back to the community. She has held an Executive Board position for The Women of Charter 100 for three terms and was past President of Childhelp Wings Chapter. She also supports many charities and organizations such as Women for Women International, World Help and Bridge to Hope. Hi, I am interested in checking out your Phoenix listings. When would be a good time to chat on the phone?